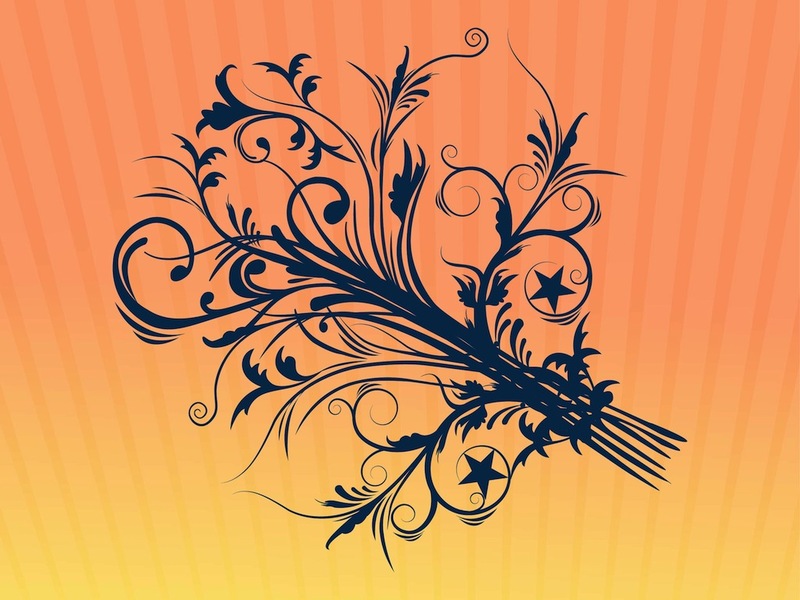 Floral vector silhouettes decorated with star symbols. Long swirling stems and overlapping plant parts, different shapes of the leaves and petals. Free vector silhouettes plant to use as decoration for al kinds of clothing prints, tattoo designs, posters, greeting cards, flyers, wallpapers and background images. Tags: Decoration, Floral, Leaves, Petals, Plant, Spring, Stems.